Exciting news: It’s on press now. No, it’s not even out but I know a guy and you can get your copy for a whole lot less as of today. 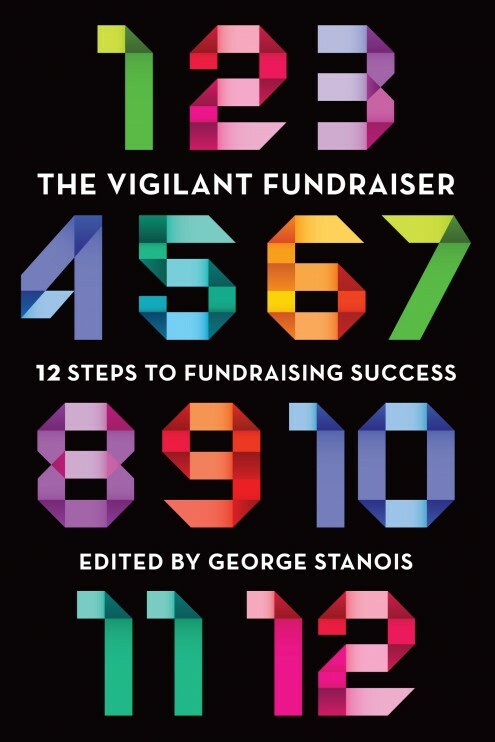 “The Vigilant Fundraiser: 12 Steps to Fundraising Success” provides the full picture on fundraising and will no doubt become the “go-to tool” for fundraisers looking to “up their game” and find new ways of successfully tackling resource development challenges. I was asked by my good friend George Stanois to contribute to the book and contribute I did: I wrote a chapter on creativity, designed the book AND it’s cover, and even created the website which will launch in advance of AFP next week. Order your copy of The Vigilant Fundraiser now for just $19.95, a savings of $5.00 off the regular $24.95 price! Your book will be shipped to you in about 3 weeks. Hey, and tell ‘em John sent you.